Perfect as a stocking filler the wooden puzzle brain teaser from Find Me A Gift is a brilliantly challenging and wonderfully fun puzzle to get the cogs whirring and brain teased. Ideal for kids and tweens the little wooden puzzle will inspire them to get their thinking cap on as they try to solve the tricky conundrum. The wooden puzzle is robust and made to a high standard. It is surprisingly small in size. Each of the wooden puzzle styles vary in size but they range from 3 cm x 3 cm to 5 cm x 5 cm. The puzzles require precision and logic to be able to complete which encourages development of analytical skills. It also tests patience and teaches problem solving skills. The wooden puzzle comes in a variety of different style puzzles with one random style sent. The wooden puzzle brain teaser is available on the Find Me A Gift for £2.99. Get ready to wow your eyes and boggle your brain! Seeing is most definitely not believing! Amazing Optical Illusions from Carlton Books contains various visual tricks, deceptive images and optical illusions, all in a cutting-edge style that is instantly engaging. Slip into another dimension and experience the brain-twisting extremes of optical illusions and picture puzzles! Amazing Optical Illusions uses colour, angles and ambiguity to trick the eye, then serves up fascinating explanations of what you are seeing and why you see it. The book is a fresh and exciting way to explore the relationship between what our eyes see and what our mind sees. It is mind-melting collection of amazing visual puzzles such as Magic Cheshire cat, Running Xmas lights and Mexican jumping coffee beans. The book is colourful, eye catching and the illusions are impressive. It is a fun read with an eclectic range of fonts which makes the book more interesting. As well as being fun the optical illusions test the brain and develop visual literacy plus the book is informative as it teaches readers why you are see what you see. The Amazing Optical Illusions 96 page book is a high quality softback book aimed at children from 6 years. It is available in the Carlton Kids range for £9.99. Created by Orchard Toys who are a leading manufacturer of educational games and puzzles, Pass the Word is a lively speed spelling game. Race against the timer to put together a word! Created for children aged 5-9 years it is a fast-paced game which makes spelling fun! The game comes with 17 word cards, 67 letter cards, 1 sand timer and an instruction leaflet. Players have to be quick when putting together as many words as they can because when the time runs out, the letters have to be passed on to the next player. The player with the most completed words at the end of the game is crowned the winner. Perfect for 2-4 players the teacher tested game the game features a wide range of words from 3-6 letters. Thanks to the sand timer the game is filled with suspense and players eager to finish as many words as they can before the time runs out. It can also be used as a simple spelling or phonics activity for younger players. Not only is the game lots of fun but it also provides many educational benefits. Learning is made fun as it encourages literacy skills and discussion, promotes language skills, encourages observational skills, develops personal and social skills plus it tests memory skills. Pass the Word game is available on the Orchard Toys website for £10. The Junior Polar BUFF® is a multi-use headwear item for children and tweens aged 4-12 years. The Junior Polar BUFF® is a cylindrical piece of polyester microfibre with Polartec fleece fabric that can worn in many ways such as a headband, scarf and beanie. The polyester fabric is made from 2 recycled plastic bottles and the headwear is certified to meet Oeko-Tex Standard 100. Thanks to the fabric and multi-wear design the Polar BUFF® offers high thermal insulations to help maintain body temperature and prevent heat loss which helps keep wearers warm during cold weather conditions. It also features UPF 50 sun protection, moisture management and is machine washable. Thanks to 100% seamless design and ultra 4 way stretch the Polar BUFF® is comfortable to wear. The Polar BUFF® is super soft to the touch which makes it cosy and comfortable to wear. This Junior Polar BUFF® in Cosmic Nebula Night Blue./Blue Capri design is beautiful. The colours are vibrant and eye-catching. It is made to a high standard with quality materials. The eco-friendly Junior Polar BUFF® in Cosmic Nebula Night Blue/Blue Capri design is available on the BUFF Wear website for £22.75. The junior classic Polar BUFF® is also available in a baby Polar size for babies up to 3 years old. The children’s collection of BUFF® headwear includes other designs and styles. They are perfect as a Christmas gift and ideal for keeping children warm this winter. Give the gift of tickets to a marvellous live show. Surprise your loved ones with tickets to this action packed, live arena stunt show that displays an epic battle of good versus evil. Tickets to Marvel Universe Live! is a gift filled with anticipation that can be enjoyed next year for a fun family day out. Marvel Universe Live! 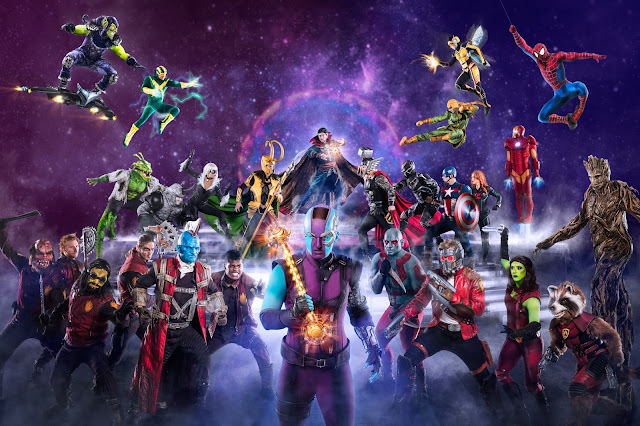 returns to the UK with a new show featuring Guardians of the Galaxy and more than 20 favourite Marvel Super Heroes and villains! Super Hero action, thrills and drama will soar, smash and burst into arenas across the UK next autumn as Marvel Universe LIVE! returns with a brand new show. Marvel fans will see Spider-Man, The Avengers and the Guardians of the Galaxy join forces with Doctor Strange, master of the mystic arts, in a race against time to recover the Wand of Watoomb before it falls into Loki’s hands. The audience will witness cutting-edge special effects, pyrotechnics, and impressive 3D video projection mapping in this completely new thrilling adventure. 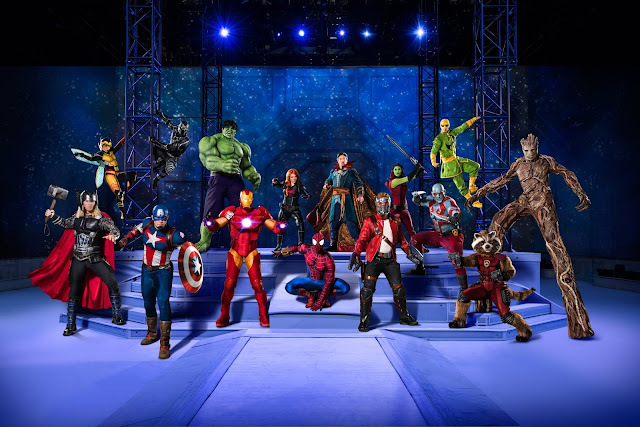 With aerial stunts, martial arts and daring motorcycle skills, fans of all ages will be immersed in the Marvel universe in a show unlike anything they’ve ever seen before! Make magical, slimy unicorn poop with Poopsie Slime Surprise! With a little unicorn magic and sparkle, you can customise unicorn poop and transform it multiple times! Poopsie Slime Surprise! includes ten magical surprises including collectible bottle and poop character keychain. 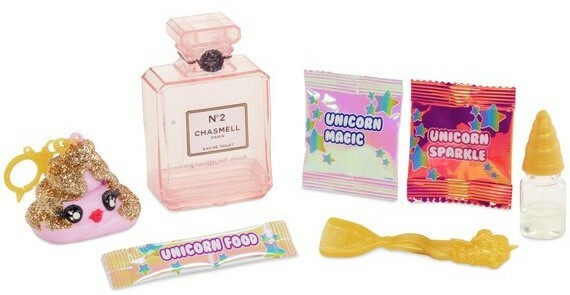 Unroll the packaging to reveal the unicorn food (slime powder), unicorn magic, spoon and scent to make your magical unicorn poop. When done store the poop slime in the collectible Poopsie keychain. The Poopsie Slime Surprise! tubs are as the name suggests a surprise as styles vary. In this first drop of Poopsie Slime Surprise! there are 18 to collect, will you find the ultra-rare Unicorn Sparkle? Poopsie Slime Surprise! is available at retailers such as Argos for £9.99. From renowned manufacturer of games and puzzles Orchard Toys the What’s the Time, Mr Wolf? game is a fun board game to develop analogue and digital time telling skills. Players must race their character around the board matching the times to the central clock - but watch out for the hungry wolf! There are two ways to play this educational game - one by matching analogue times and moving the clock hands, and the second by matching digital times to analogue. The game contains 1 jigged forest playing board, 20 double sided square cards with digital/analogue times, 4 double sided collection boards, 1 large clock face with moveable clock hands, 1 slot-together 3D wolf, 4 animal character playing pieces with stands, 1 dice and instruction leaflet. What's the Time Mr Wolf? features cute woodland animals including bunnies and hedgehogs. The game pieces are colourful and made to a high standard. For people looking for a gift that is both fun and educational, What’s the Time, Mr Wolf? 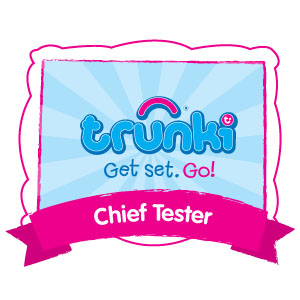 Is a great choice as the game which teaches time telling boasts many educational benefits. It encourages discussion, develops number and counting skills, hones observational skills and develops personal and social skills. Designed to be fun and educational for children aged 5-9 years the What’s the Time, Mr Wolf? game is available on Orchard Toys for £10.00. On your marks, get set, go…….get tickets to the larger-than-life sport to gift this Christmas. 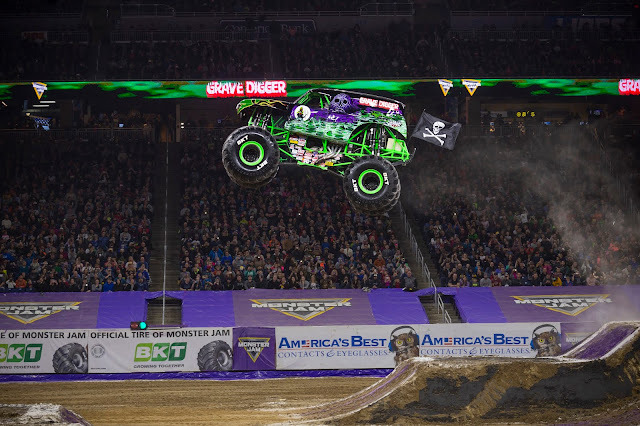 Surprise Monster Jam fans with tickets to their UK tour next year. Buckle up for the ride of your life the world-famous trucks are returning to the UK next year to deliver an unexpected, unscripted and unforgettable experience for the whole family that will keep people on the edge of your seats and filled with adrenaline charged excitement. Be amazed watching 12,000 pound machines race around the arena dazzling the audience with wheelies, donuts, cross-ups and big air stunts. Fans can also get up close to Monster Jam trucks and meet their favourite drivers in the awesome Pit Party. 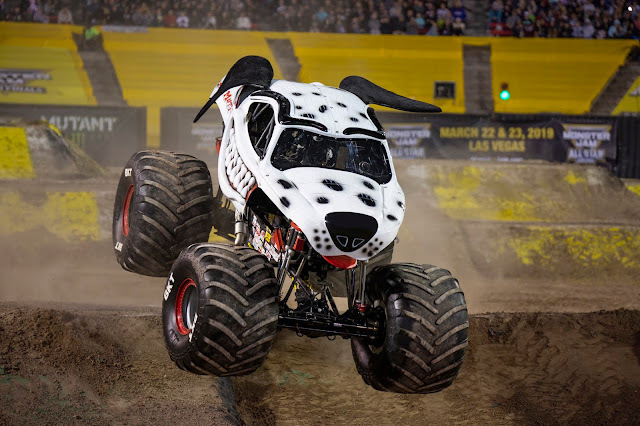 The Monster Jam revs into Manchester Arena on the 4th and 5th May before racing to the Principality Stadium in Cardiff on the 18th May and then speeding to Ricoh Arena in Coventry on the 8th June. Get tickets here. A perfect gift for those who like to jam at the skatepark, the NeoChrome SLAMM Sentinel Stunt Scooter from Skates.co.uk is Slamm’s ultimate bang for buck scooter. With a suggested age range of 8-16+ years the scooter’s full height is 31”. The fixed 1 piece stunt scooters bar spins 360 degrees for tricks. The Sentinel also has their strongest and biggest bars to date; 21” x 23” made of chromoly steel, fitted with their new Pro Grips and impact resistant bar ends. To make it lightweight the scooter features laser cut detailing to the gooseneck. The high quality scooter boasts fantastic attention to detail and excellent quality parts. The standard of workmanship in creating this quality scooter is superb. 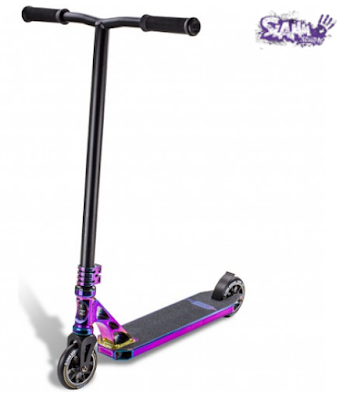 The lightweight scooter features a stunning, polished NeoChrome deck and complementary Slamm NeoChrome double bolt vice clamp. The styling of black on black decals with laser cut logos with the NeoChrome detailing is exquisite. The SLAMM Sentinel Stunt Scooter would look the part down the skatepark and would be an amazing gift for a budding or experienced scooter. It is available on the Skates.co.uk website for the current price of £124.95 (RRP £139.95). Perfect for music lovers the Riwbox AB005 headphones are a wonderful gift this Christmas. The black/blue headphones are sleek and stylish in design. The blue is a lovely vibrant colour against the black. They also feature LED lights on the sides of the earpads. The 3 LED lights flash to the music creating a cool, party vibe. The headphones are adjustable to get the perfect fit and thanks to the padded ear pads and lightweight design they are comfortable to wear. When not being used the headphones are foldable which is handy for storage and easy to carry. Music to any music lovers ears is the fact that they offer up to 10 hours of music. The headphones offer clear and transparent sound quality. They can play music via TF card, FM radio, through audio cable or via a compatible bluetooth device such as a music player or smartphone. The bluetooth capability of the headphones covers a 10 metre distance. Another feature of the headphones is the ability to control your music directly from the headset with functions such as play, pause, next and previous track, and volume. The Riwbox AB005 Wireless headphones are available on Amazon for the current price of £19.98. As well as the gorgeous blue/black design they are also available in a blue/green and a black/white design. For people looking to give a fun yet educational gift this Christmas a set from the magic world of Magformers is perfect as they foster brain development through joyous play and educational explorations. The intelligent, innovative magnetic construction sets contain various pieces in simple geometric shapes such as squares, rhomboids and triangles that easily connect together using the power of the built-in magnets. Simply put as their name suggests Magformers offer children and adults alike the opportunity to ‘form’ and create wonderful constructions thanks to magnets - magnets joining together to form amazing structures and shapes. As the magnets are high quality and durable and feature intelligent magnetic design the possibilities of formations are endless! Magformers are innovatively created using neodymium magnets encapsulated within all the edge surfaces of the Magformers pieces so that all pieces connect with each other regardless of position when two are joined. This technology means that they do no repel each other as magnets of the same poles would normally do. The awarding winning Magformers inspire children’s creativity, assist 3D brain development and spark learning. Magformers encourage learning of science, maths and engineering plus so much more. Without even realising it children recognise the principles of magnets by feeling the magnetic power, develop a sense of the concepts of engineering as they made 2D flat shapes before transforming them into magnificent 3D geometric structures all whilst having fun! Magformers have a wonderful array of sets available on their website that would be amazing to give to loved ones for hours of entertainment and learning. There are various categories of sets available such as My First, Hi-Tech, Deluxe, Inspire, Basic, Creator and XL Cruiser. Below are more details about two of their sets. 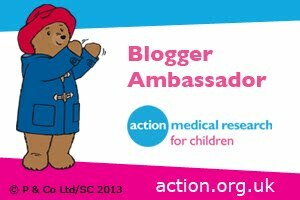 For more information about Magformers and to purchase the sets check out the Magformers website here. The Magformers Magic Space set 55 is a futuristic magnetic construction set that is out of this world amazing. This set is part of the Hi-Tech range of Magformers as it contains basic pieces and unique accessories to make the Magformers move. The set includes 55 Magformers pieces including shapes such as isosceles triangles, diamonds and mini rectangles along with special accessories of an LED infinity light and mirror pieces. The set also includes a unique transforming space robot figure. Thanks to high quality materials such as the neodymium magnets encased in the high quality ABS plastic pieces the Magformers are easy to assemble to build creations. They are strong and stable which is great when making 3D structures and come apart easily to build something new. The pieces are colourful with an array of different coloured pieces. The set comes with a useful idea book that contains space-themed construction ideas. Using the LED lights and mirrors out of this world creations such as a Hubble or ray-gun can be created. Play and exploration with this set boosts 3D brain training. Not only does this set mean that children learn as they play but it can also be a way to inspire them to learn about space. The Magformers Magic Space set 55 is available on the Magformers website for £89.99. Perfect as a complimentary set to the Magformers Magic Space set or wonderful on it’s own the Magformers Figure Plus Astronaut set is a special accessory pack. It consists of five Magformers squares plus a special square containing a spinning astronaut figure. The set is easy to put together and take part. It is fun on it’s own or can be used with another set. The astronaut figure is made to a high standard and looks the part in his cute astronaut outfit. Sitting on a seat the astronaut can be spun around which is highly amusing to children. Like the space set the Magformers pieces are of high quality, durable and hold strong when connected. It also provides educational benefits whilst having fun. Part of the Basic Plus range the set is available on the Magformers website for £11.99. The Basic Plus range has other figure sets available such as an alien, princess, girl, boy and construction worker. Created by renowned board games manufacturer Drumond Park, Sshh! Don’t WakeDad! 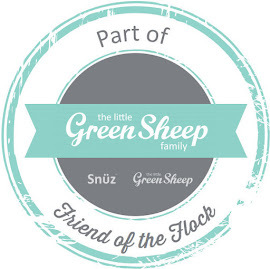 is a fun electronic family game for 2-4 players aged 5+. The aim of the game is to get to the irresistible delicious chocolate cake in the kitchen. But to get to the feast in the fridge the kids have to be as quiet as a mouse and sneak past dad who is a super light sleeper! Can you reach the tempting, tasty chocolate cake? Players take it in turns to spin the wheel and try to make it through the bedroom to the delectable cake waiting for them in the fridge. But there are many obstacles along the way that could wake up dad! The obstacles that the players have to face include toys scattered on the floor and a cat’s tail that gets stepped on making the cat screech which is sure to wake up snoring dad. The obstacles come into play when players spin the spinner. If they land on the same picture as the cards that they have they are safe. The game was then very simple to set up by simply dealing out the cards and placing the bed on the board and putting dad face down on the bed where he starts to snore when clicked into place. Get a picture you don’t have a matching card of then it is a test of nerve as the player has to press the alarm clock as many times as the card says and hope that dad doesn’t wake up. If he does, he jumps up and spins round with the player then sent back to the start. The winner is the first player to reach the chocolate cake in the fridge. The sturdy playing pieces of colourful kids are high quality and the fact that they look as if they are tip-toeing is highly amusing. The kids love the snores and snorts that dad makes and the anticipation of when will he wake adds to the excitement of the game. Dad waking up evokes giggles galore and the excitement is intensified by the fact that the players have to go over sleeping dad as they tip-toe towards the chocolate cake. A perfect board game to play together as a family this Christmas Sshh! Don’t Wake Dad! 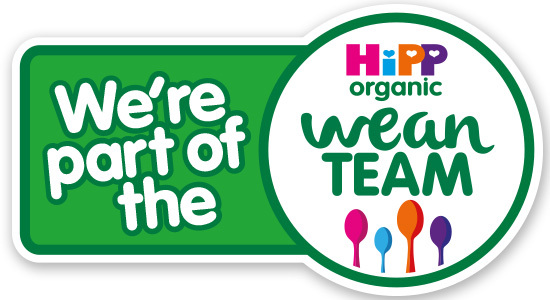 is great family game with a RRP of £24.99 and is available from numerous retailers including Argos and Amazon. 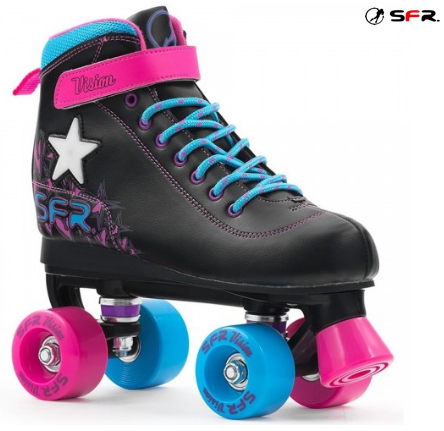 Get your skate on with these super stylish SFR Vision II Lights Quad Roller Skates from Skates.co.uk. Featuring skate rated bearings and 82A PU injected wheels the high quality skates offer a smooth skate. Thanks to a ho-top upper which provides ankle support the semi-soft vinyl quad skate is ultra comfortable to wear and skate in. 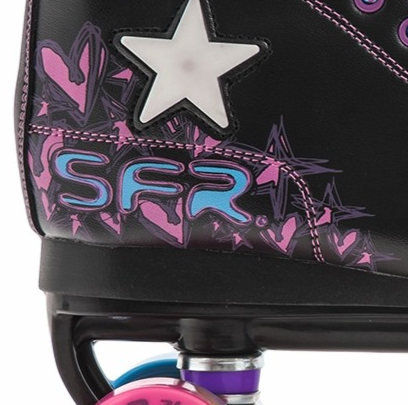 These black, blue, pink and purple skates are gorgeous and the stylish design includes fabulous motion-sensitive light up stars on the outer sides. 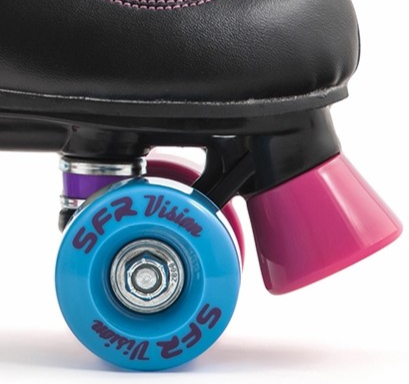 The SFR Vision II Lights Quad Roller Skates are available on the Skates.co.uk website for £49.95 and is also available in other colours such as white/blue/pink and white/purple/pink. Get in the loop with Pindaloo. This new design-patented skill toy is the ultimate skill-building craze that is designed to provide good old fashioned fun. The main aim of the game is to create as many loops as possible. Once that has been mastered cool tricks can be learned for more Pindaloo fun. The innovative, fun-filled skill-toy not only provides lots of simple entertainment but it can also help improve cognition and coordination. 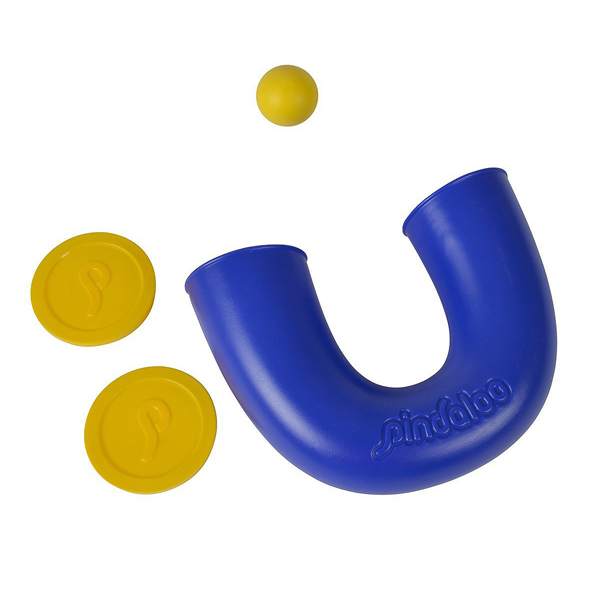 In a Pindaloo set you get one Pindaloo, two balls and two end caps which allows you to safely store the balls inside the Pindaloo when not in use and when transporting it. The set has everything you need to get your game going straight away. Pindaloo can be played anywhere and everywhere, indoors and outdoors. It is a compact design and thanks to being able to store the balls inside it can be taken out and about easily in a backpack. This simple yet genius skills-toy brings joy back to basic play, making it a wonderful gift for Christmas. 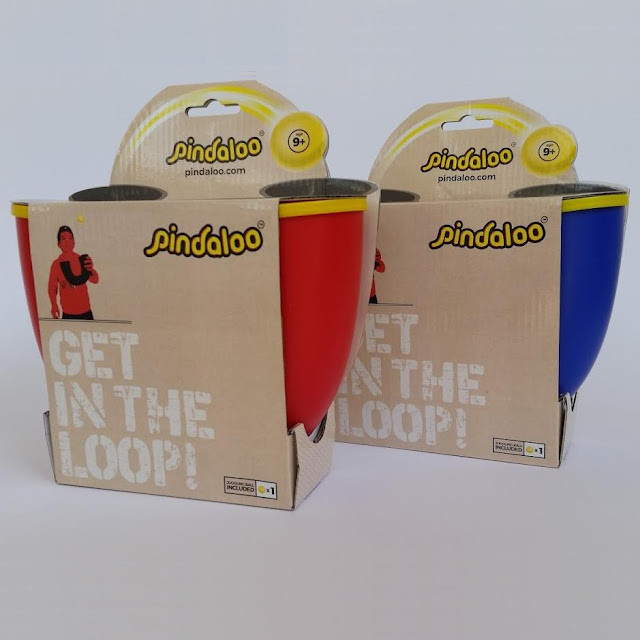 Aimed at children over the age of six and adults the Pindaloo is available on the Pindaloo website for the current discounted price of £15.81. The Pindaloo is available in either red or blue design. Here be dragons from Carlton Books! From the glittering peaks of frozen mountains to dripping caverns hidden deep underground, The Book of Dragons brings mighty and ancient dragons to life. Read exciting tales of legendary dragons, pore over detailed maps of mythical lands, explore a dragon's treasure hoard and marvel at lavish collections of dragon teeth, talons, scales and eggs. The book covers topics such as anatomy of the dragon and lore of the dragon. This richly illustrated book is a sumptuous treasury of a magical lost world and fulfills the desires of every young dragon enthusiast. The illustrations are magnificent with the sketch style drawings being especially wonderful and a fitting style for ancient beings. The book’s writing is not only informative but also interesting. Thanks to the fonts used and the background of the words the book’s style is in keeping with ancient times and the legend of dragons. The 72 page softback book is for children age 6+ and is available as part of the Carlton Kids range of books for £8.99. You have some wonderful gift ideas there. Those would cover all my 3 even at varying ages. They all love Poopsie that would make a great stocking filler. 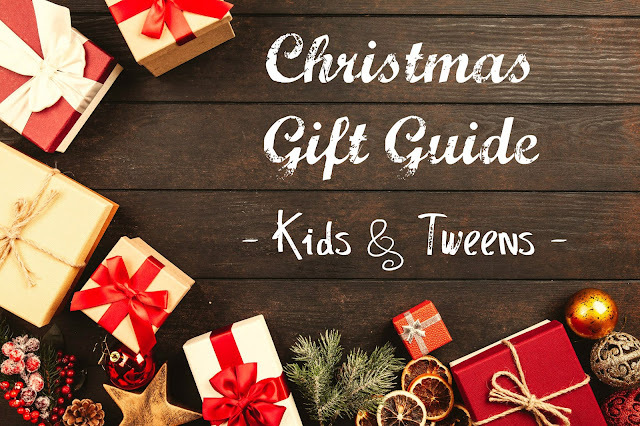 This is such a great Christmas gift guide! And with tweens, you can never go wrong with those wooden 3D puzzles and books of optical illusions!! Teens and tweens are definitely the hardest to buy for so I think you have a really good selection here.